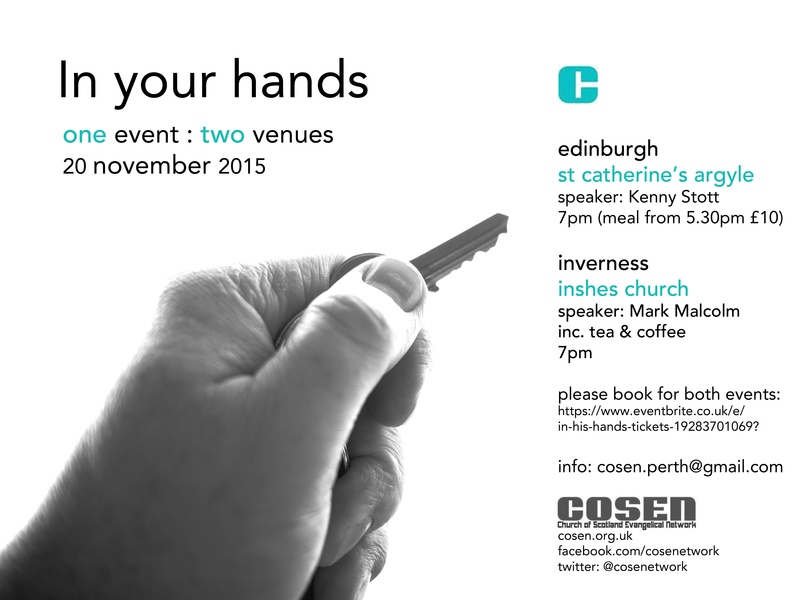 COSEN Gatherings were held on 20th November 2015 in Edinburgh and Inverness. Please look under the ‘Media’ Tab to listen to the key note address from the Edinburgh Gathering. 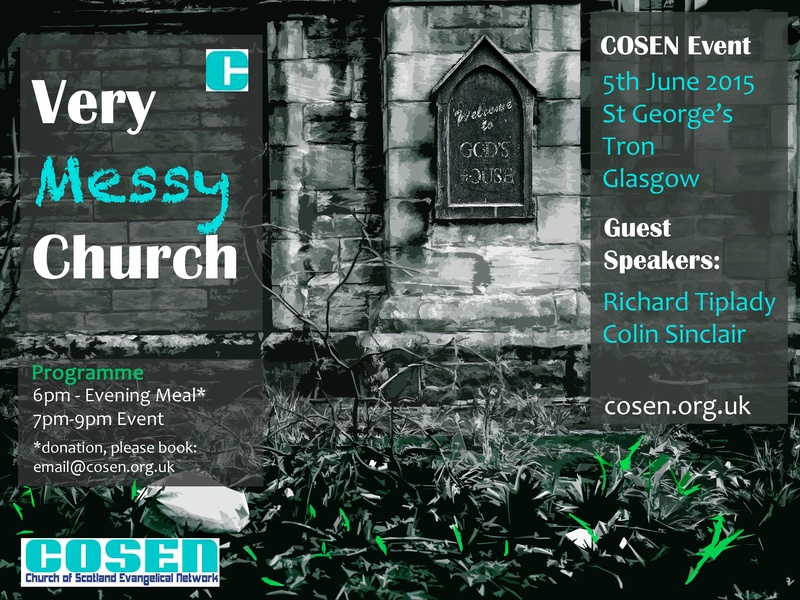 COSEN held a gathering on 5th June 2015. It was entitled: Very Messy Church. Media from the gathering, including audio and video is available under the ‘Media’ tab of the website. 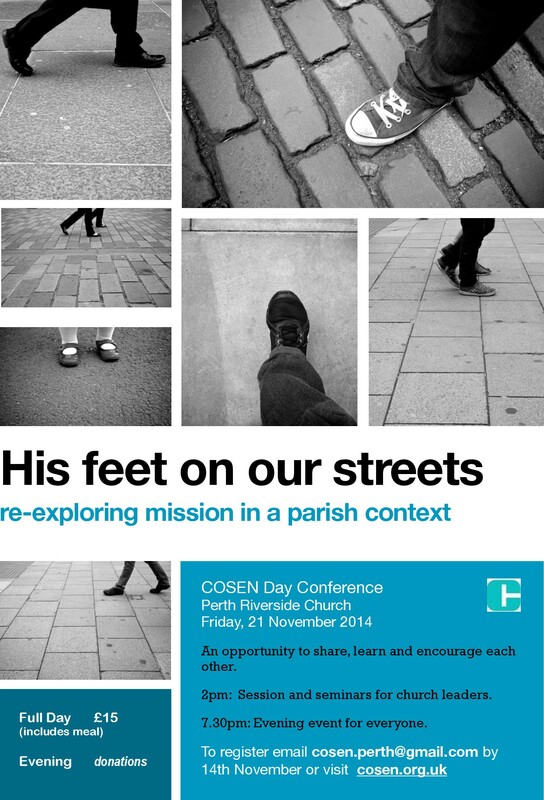 The title for the day – His Feet on our Streets will be addressed by our main speaker, Rev. Marc Bircham. He will look at the theme: Re-exploring mission in a parish context in the afternoon and evening in two main Bible-teaching sessions. In the afternoon we expect mainly ministers and Church leaders to be present and in the evening we hope that there will be elders and other church members joining us. From Marc’s sessions we expect that folk will be inspired to think and act missionally in their own parish contexts, to be challenged to think through practically how they might work with their congregations in equipping and enabling them to be intentionally missional in their activities. Marc’s sessions will be strengthened by those who have been invited to run seminars/workshops. Each seminar/workshop will be offered twice and will run each time for 45 minutes from 3.00 – 3.45pm and again from 4.15 – 5.00pm. Central Square: mission in the workplace – led by Rev. Ian McFadzean of Workplace Chaplaincy, Scotland. Equipping a congregation for day to day mission where they are and especially in the workplace. We would like people to gain an overview of some of the initiatives that folk have been involved in in their own places of work and to have the opportunity to think through how they might be intentionally missional where they work. We would love folk to be inspired by this seminar to share their faith with colleagues and others with whom they spend the bulk of their time day by day. Acacia Avenue: mission to my neighbour – led by Rev. Nigel Barge. Through this workshop we would love to see people being inspired to share the good news of Jesus and the Word of God with their neighbours and friends. We would like them to hear about “meristems” and how they work and be encouraged to try something like that in their own street with their own neighbours. It would be great if folk could find a new confidence for evangelism through being at this seminar! Manse Road: mission for ministers – led by Rev. Lynn McChlery and Rev. Alan Reid. This workshop is about making the most of the opportunities that arise through providing the “ordinances of religion” in our role as parish minister. In what ways can we be intentionally missional with those who seek our “services”, acknowledging that many of them have very little meaningful contact with Church? We would love to see ministers encouraged to think beyond the sheer mechanics of arranging a funeral/baptism (or whatever) to how the ministry they are offering may help someone take a step closer to Jesus. High Street: mission in our community – led by Rev. Andrew Morrice. This workshop is about thinking through and sharing experience and vision for reaching our communities with the good news about Jesus. Looking at ways in which the local congregation engages with the community it is called to serve.We would love to see folk becoming excited and enthused about researching and then meeting the needs of their community and being inspired to go home and really make new connections with the people of their parish. Sanctuary Place: a quiet place amongst the busyness of life. We would like to offer the opportunity to be still and quiet. Perhaps you would value time in confidence to talk through a difficult issue you are facing personally or in your ministry. It may be that you would like to pray with someone. Members of the COSEN steering group will make themselves available at Sanctuary Place for individual conversations. We would love those coming to the conference to know that they are valued for who they are, not just what they do and to have a sense of fellowship that goes deeper than the surface. ‘Refreshed by God ‘, a gathering for encouragement and building up was held on Saturday 14th June 2014. Video from the day is available under the ‘Media’ tab on this website. Please follow COSEN on twitter (@cosenetwork) or like the COSEN Facebook Page for the latest updates. A downloadable programme is available here. 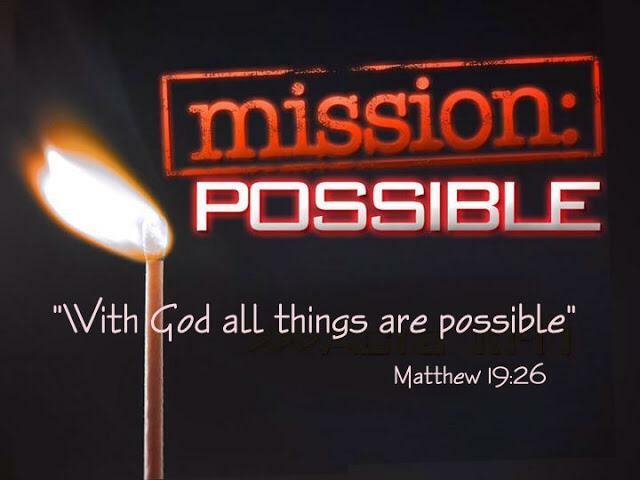 COSEN held a vision day entitled ‘Mission Possible’ on Saturday 26th October 2013. For those interested in what happened at the day, a downloadable programme is available here. All media from the day, including video, audio and handouts are available under the ‘Media’ tab on this site.